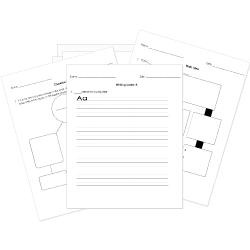 You can create printable tests and worksheets from these Grade 1 African-American Literature questions! Select one or more questions using the checkboxes above each question. Then click the add selected questions to a test button before moving to another page. Peter saw some big boys. What were they doing? After his dream, Peter woke up. What did he see when he woke up? Icicles were melting on the trees. His parents were standing by his bed. made a giant snow fort. put a snowball in his pocket. all his wishes came true. he ate all the candy he wanted. Before bed, Peter looked in his pocket. He felt sad. Why did he feel sad? He could not find his snowball. He lost his lucky penny. His dog took his cookie. After breakfast, what did Peter do? Peter dragged his feet to make tracks. How did he drag his feet? Peter made a smiling snowman and in the snow. Peter found a . He smacked the tree with it.